I can’t believe that 64oz growlers have been available in Manitoba for nearly nine months now. When I first heard the news that Manitoba Liquor & Lotteries was looking to experiment with growlers at a limited number of Liquor Marts and beer vendors around Manitoba, I was sure that it was going to fail. Thankfully I was wrong and it has been such a successful trial that more Liquor Marts around Manitoba will soon get fresh beer on tap from Fort Garry and Half Pints. I had an impromptu chat with Premier Greg Selinger at the Winnipeg Folk Festival beer tent and he was very impressed with how well the growler bars have performed and wants to see more Manitoban beer and spirits featured more dominantly at Liquor Marts around Manitoba. I found that the growler bar has been one of the best moves on Liquor & Lotteries’ part in several years as it promotes Manitoba-made beer front and centre. While Half Pints Brewing may not be available on tap at restaurants and bars in Western Manitoba, their beer is certainly getting a lot more attention now days - in fact, prior to the introduction of the growler bar stations, most people in Western Manitoba never even heard of Half Pints even though their beer has been available in Brandon at Liquor Marts and beer vendors since 2008. I have a few beefs about the growler bars. First off, each growler fill can take up to five minutes assuming that the keg isn’t empty, and if it’s empty.. either you aren’t going to be getting any sweet delicious local beer - or the store employees will have to go in the back and get another keg. One problem with that is that if someone has more than one growler needing to be filled, that takes up a lot of the employee’s time. 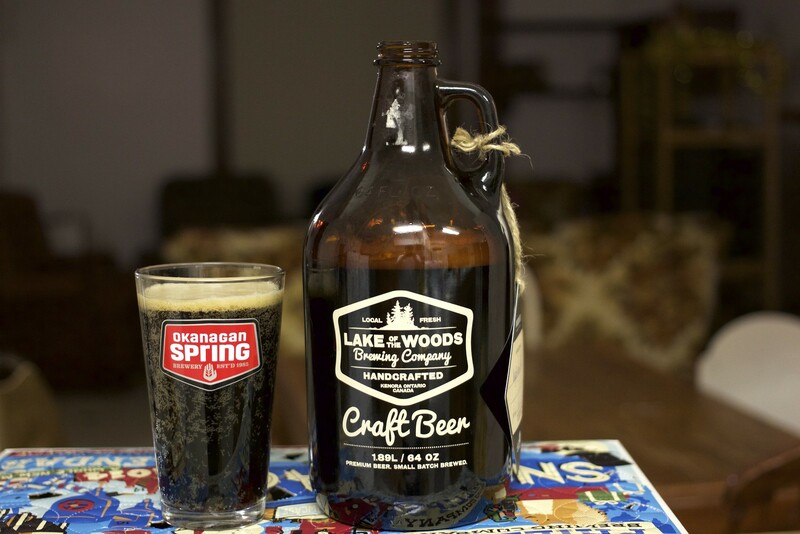 Brandon Sun alumni Grant Hamilton has stated that he would prefer to see the beer sampling taps be used to fill the growlers at peak hours when there’s a long line up of people needing growlers for the weekend. Most growler fills I’ve seen outside of Manitoba work exactly the same way as how a pint of beer is filled, meaning that beer is poured directly into the jug and once the foam clears off, the beer is capped and sealed. This is the absolute easiest method, but it also needs to be drunk more immediately than through Liquor Marts’ pressurized system. The biggest beef from customers I hear is always “I don’t want to buy a growler, that’s too much beer and I won’t be able to drink it all before it goes flat.” While it’s true that the beer will go flat, but assuming that the growler is unopened.. you can store it up to two weeks before opening it. After it’s opened, you have around 48-72 hours to consume the beer. It’s tough for people who only like to have one pint’s worth of beer every few weeks, but if you have friends - they will more than gladly help you finish your growler. There is the possibility that we will eventually see the introduction of different bottle formats to make it more convenient for individual consumption, including the introduction of 1L mini growlers or even 650mL bottles. 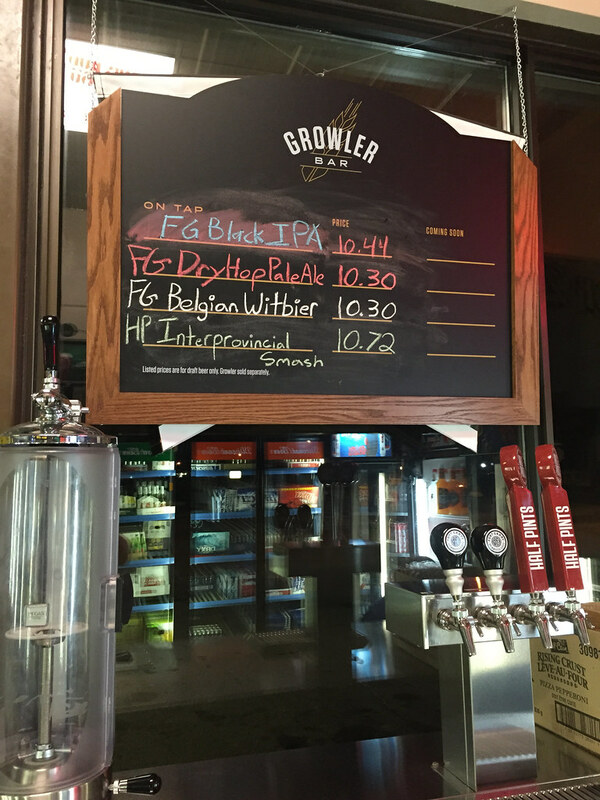 Another complaint I’ve heard is “I like Fort Gibraltar, why did the LC get rid of it?” The growler bar is to expand your beer tastes, to get you to try something you would have possibly never tried before. If Liquor Marts carried only the same four beers day in and day out, people would get bored of it. I love how Half Pints and Fort Garry both bring in a mixture of their staple products as well as one offs or seasonals to get people trying new styles. My all time growler bar favourites so far were Fort Garry’s Dry Hopped Pale Ale which was a nice citrusy and bitter take on their popular pale ale, Half Pints’ Grand Slam Breakfast Stout and Half Pints’ Interprovincial SMaSH Pale Ale, which is a collaboration beer with Swift Current’s Black Bridge Brewery. Lastly, I wish there was more marketing available from Manitoba Liquor & Lotteries to promote growler bars at beer vendors. Very few people know that the Keystone Motor Inn (AKA "Keyrock") has a growler bar. The thing I love about visiting Keystone Motor Inn’s growler bar is that if the 10th & Victoria Liquor Mart sells out of a product, the Keystone Motor Inn is likely to have it. Recently, I was able to enjoy Half Pints’ Holy Spirit witbier at the Keystone Motor Inn vendor even though it had sold out at the 10th & Victoria Liquor Mart a few weeks earlier. So, if you are looking to get something on tap after 10th & Victoria runs dry, this is your best option. Aside from going to one of the two breweries in Winnipeg, the growler stations at 10th & Victoria and the Keystone Motor Inn are the best way to enjoy fresh, crisp beer brewed in Manitoba by Manitobans for Manitobans.